Finishing up the Marvel list is going well – currently at 1741 books as of last progress report. While we get the Marvel books ready, we’ll keep up our little series featuring the video archives at Marvel.com! The Incredible Hulk Animated Series started airing in 1996, completing two seasons. The second was titled The Incredible Hulk and She-Hulk. The whole first season is up now at Marvel.com, with three episodes of the second. There were 21 made total, though the series also crossed over with Marvels Fantastic Four and Iron Man shows. Check out the link for a healthy dose of giant green action! I don’t think I’ve seen any of these before nor knew they existed. After seeing that main picture though, how could I not want to watch? So monsterish, yet so caring. Actually, scratch that. 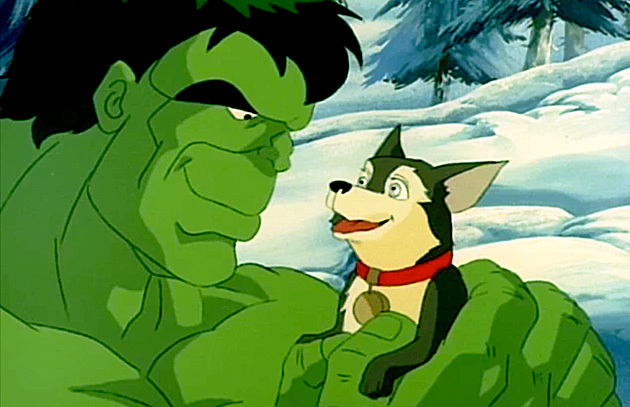 The original 1960s animated Hulk TV show had the best theme song ever. If you don’t know what I’m talking about, you need to Youtube it immediately. that theme sequence really is quite epic though, with all the planes, armies, etc! It is a dream of most aspiring professionals the world over to live and work in the US. columnist who authored , your LOttery Number Advisor. So great to find somebody with a few genuine thoughts on this subject matter. It’s awesom in suplort of me to have a web site, which is useful in favor of my experience. Pon “Me gusta” y comenta las fotos de otros usuarios. después una ves por mes. Bueno, poseo la aplicación ya en el móvil. que si se dedicaran a hacer lo mismo para otras personas.